Build your next game on a bigger scale with Pro HTML5 Games. 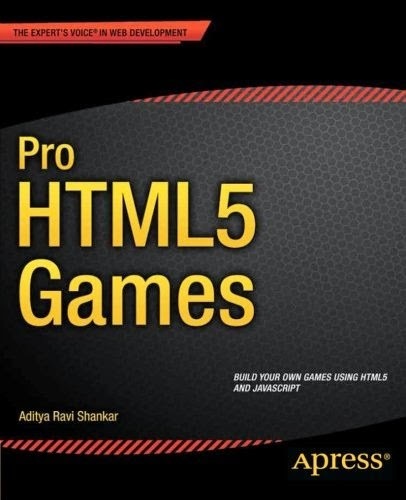 This book teaches you the essentials of advanced game programming in HTML5. You’ll learn techniques that you can transfer to any area of HTML5 game development to make your own professional HTML5 games! Readers who have experience making games in other languages such as Flash and would like to move to HTML5 will also find a lot of useful information in this book. If you do not feel confident about your game programming skills, don’t worry. This book covers all the essentials needed to build these games so you can follow along and learn to design large, professional games in HTML5. The book will also point to resources and reference material for supplemental learning in case you are having trouble keeping up. With dedicated chapters on HTML5 basics, the Box2D engine, pathfinding and steering, combat and effective enemy AI, and multiplayer using Node.JS with WebSockets, you should get a lot from this book no matter how much game programming experience you have.